LET US CUSTOM BUILD THIS GORGEOUS CLARINBRIDGE MODEL ON AN 18 AC LOT THAT WILL BOAST OF UPGRADES BUILT BY PREMIER LOCAL BUILDER. HAND SELECT ALL OF YOUR COLORS AND SELECTIONS WITH OUR DESIGNER, STANDARD FEATURES INCLUDE GRANITE COUNTERS, TILE BACKSPLASH, OAK FLOORING, 42 IN CABS & MORE. MODERN/OPEN CONCEPT LIVING, HUGE MSTR STE. LOCATED MINUTES AWAY FROM THE JAMES RIVER BRIDGE, INTERSTATE, SHOPS & RESTAURANTS! O/A. 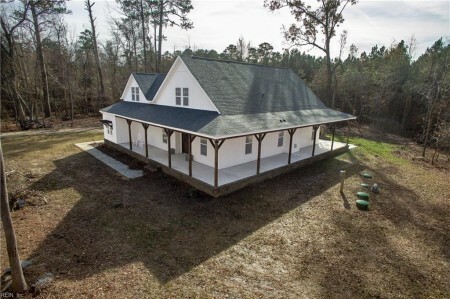 Send me more information about the listing at 102 Omera, Isle of Wight County, VA 23314, MLS# 10247709. This 3 bedroom, 3 bathroom home located at 102 Omera, Isle of Wight County, VA 23314 has approximately 2,100 square feet. It is currently listed for 499900.00 and has a price per sqft of $23,805. This home is currently Active under the MLS#: 10247709. It is listed by Fit Realty. 102 Omera, Isle of Wight County was built in 2018. It has Garage Att 2 Car, Oversized Gar, 2 Space parking. The kitchen includes Dishwasher, Dryer Hookup, Microwave, Range, Refrigerator, Washer Hookup. 102 Omera is part of the All Others Area 65 neighborhood located in 23314.